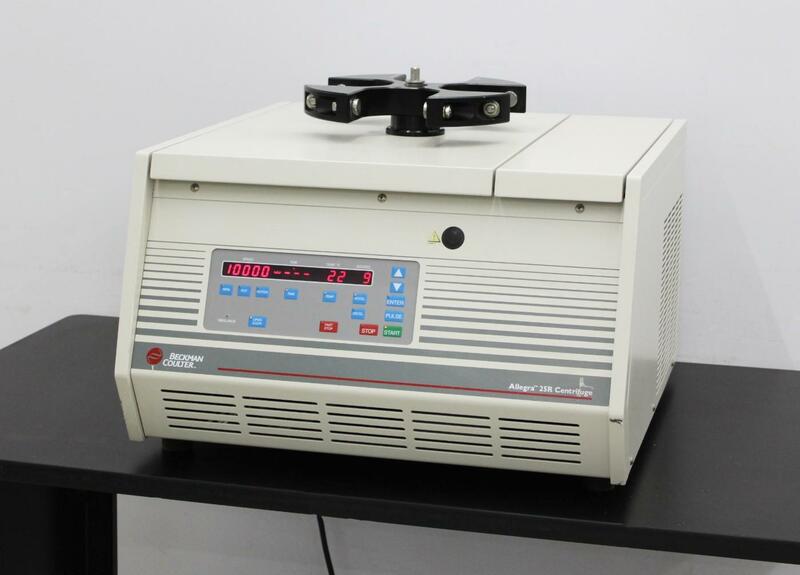 Beckman Coulter Allegra 25R Refrigerated Benchtop Centrifuge w/ TS-5.1-500 Rotor . New Life Scientific, Inc. Tested 5,100 rpm, held -9°C. w/ Rotor. 90-Day Warranty. and that you’ll know exactly what you’re getting. speed of 15,000 rpm when paired with a compatible fixed-angle rotor. with just a few minor cosmetic scuffs on the front panel. during lower rpm run. We also tested this centrifuge to 10,000 rpm with no problem. and verified fully-functional with no excessive or unusual noise during operation.